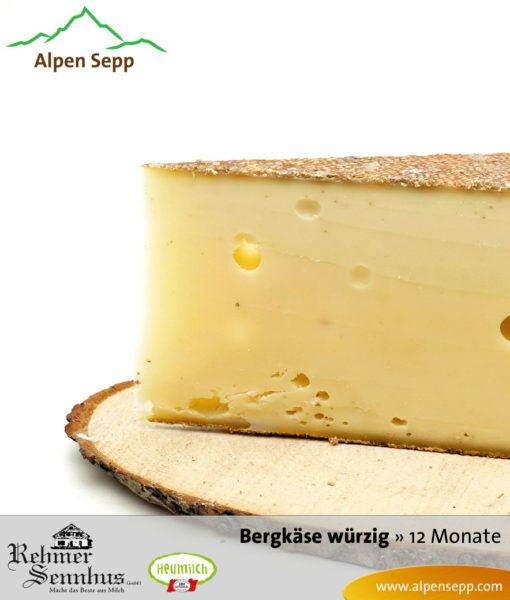 Our extra matured mountain cheese gets its spicy aroma from manual care and traditional, hand-made production. 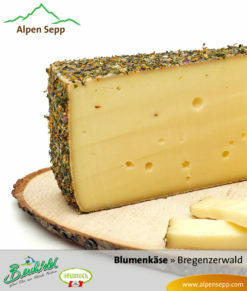 The mountain cheese, which has matured for a long 12 months, is one of the premium hard cheese products from the Rehmen alpine dairy production in Au. 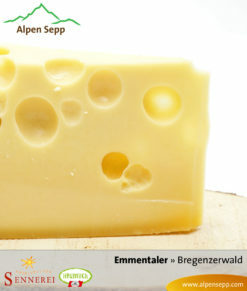 With the 12-month-old mountain cheese made by Hermann Berchtold, you hold a special mountain cheese in your hands. 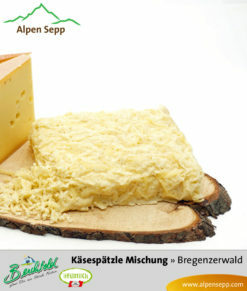 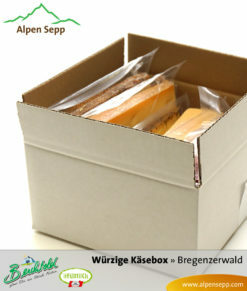 The special mountain cheese gets its spicy aroma from 100% manual care in the natural cellar. 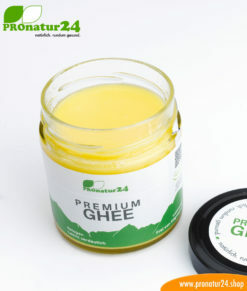 The rind of the mountain cheese is groomed or kneaded with Himalaya salt without sodium chloride and iodine, and pure dextrorotatory spring water.